I was walking around and noticed this, so I immediately reserve a table and came back the other week to check this out. but I'm pretty sure they are referring to Hellsing's Alucard and not someone else (like Castlevania's Alucard). I thought you guys might want to see this, so I took some pictures. Overall, a great cafe. 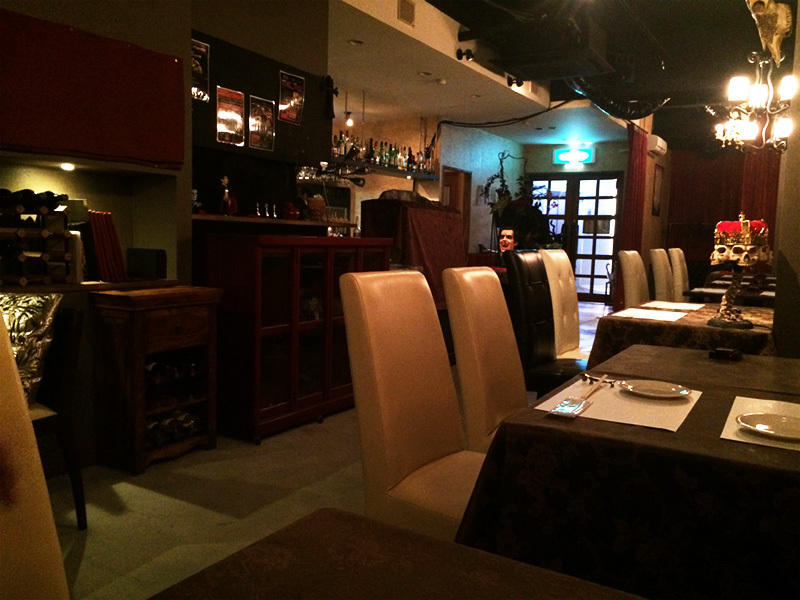 You'll feel like you're eating in Count's castle or something. Oh, and it's only open from 6 PM onwards. Nice. Staying true to the vampire's working hours, I see. Food is fairly good. It's a tad pricey (I think I was charged around $50 for 7-course menu), but certainly worth every cent. Themed cafes like this usually do charge that much. 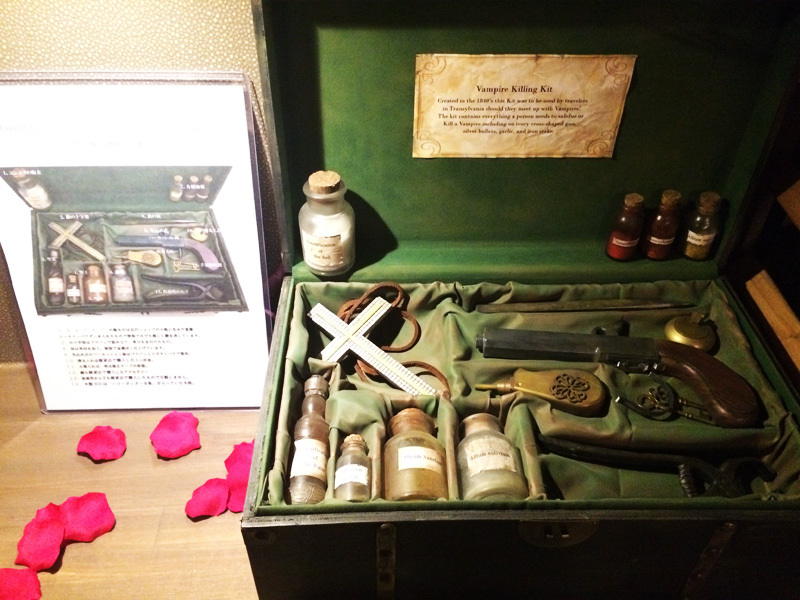 I think the Vampire Killing Kit is an impressive piece to have on a display. I'd would visit this cafe just to be able to look at it. 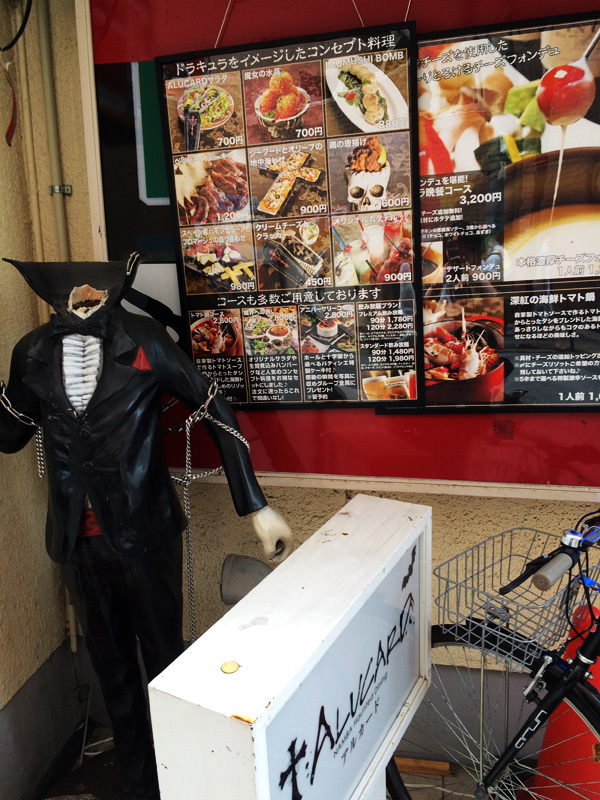 Also, there is an Alucard statue in the front of the store that I didn't manage to snap, maybe I'll come by another time to take a picture of it. What do you think? Want to come visit the cafe next time you go to Japan? Or would you like to open one in your own country? 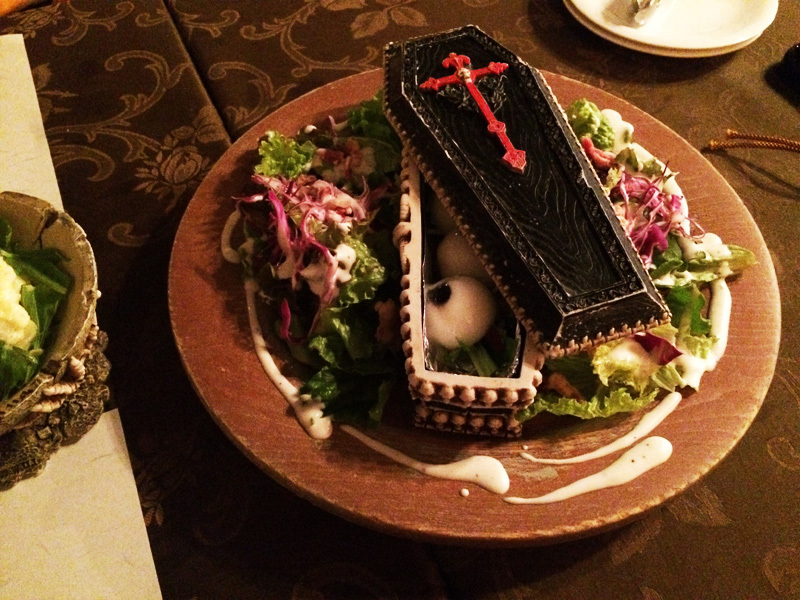 Oh, I think this is brilliant and everyone should open their own Dracula cafe. We'll make Dracula cafe alliances. Re: So. 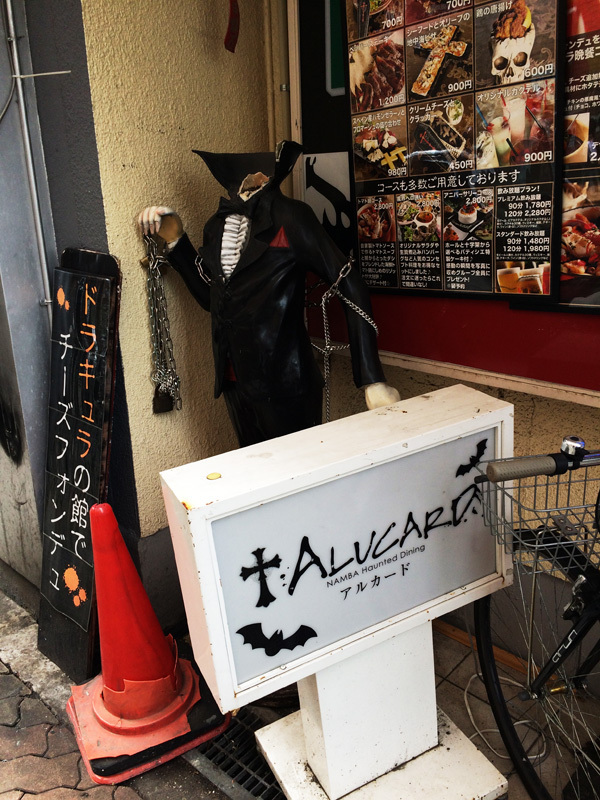 I went to ALUCARD Cafe in Osaka. 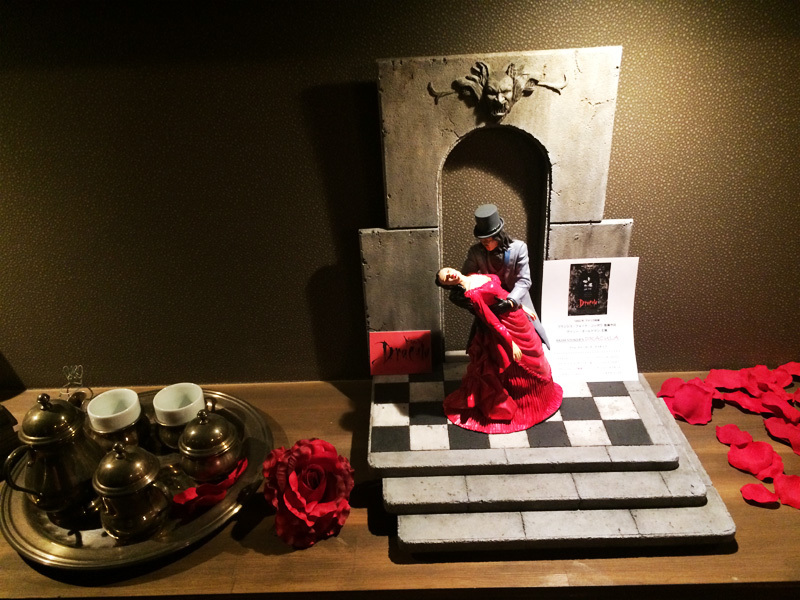 I don't think it's an "Alucard" cafe, per se, more like a celebration of all things Dracula. The name "Alucard " copyrighted so they just used the catchy name. I like it. HAH I found the picture of the statue somewhere in my phone, a little bad quality though. 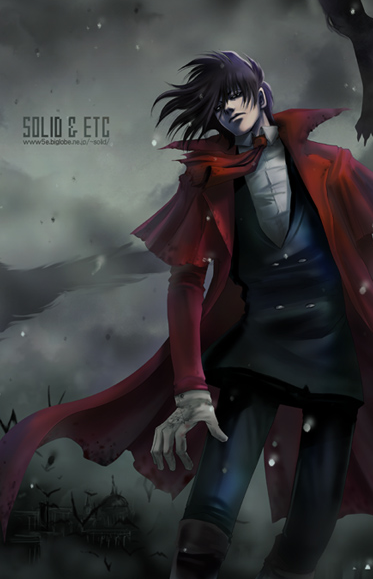 It is pretty awesome, and pretty close to Alucard. 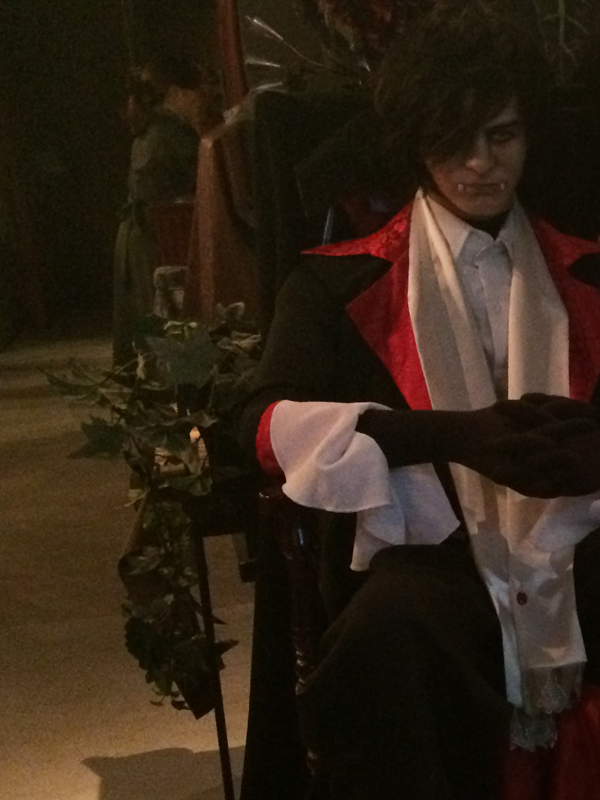 I mean, come on now, tell me if that is just some random vampire and NOT Alucard from Hellsing. Alucard fans will drool all over it, I suppose. Haha, i don't agree with you Saphire And another Alucard`s fans wouldn't agree too, because it has too few details to be him, just hair and some red color. If founders want to create Alucard they would not have dressed him in such silly shirt. But it`s good vampire. 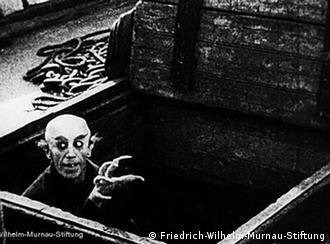 It looks like another vampire to me. 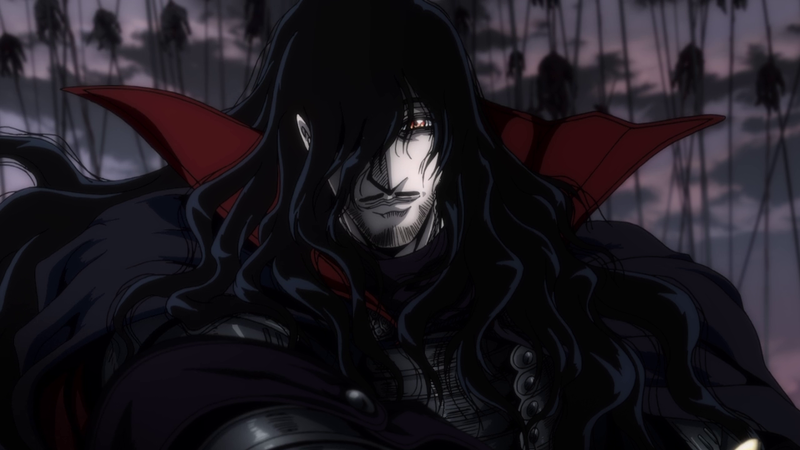 You have to remember, Alucard is based off Dracula, he's supposed to looks like the standard Dracula vampire character. 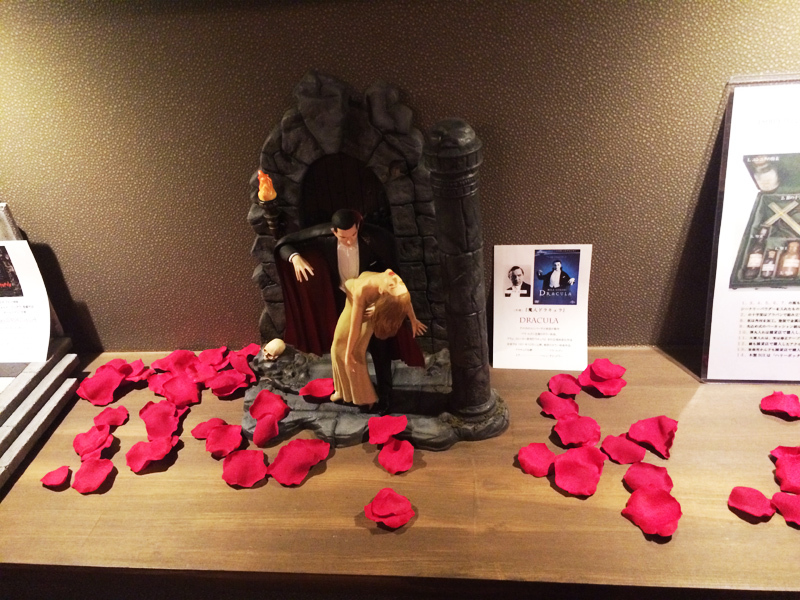 And here I was all excited and waiting to see an Alucard statue I don't own, lol. 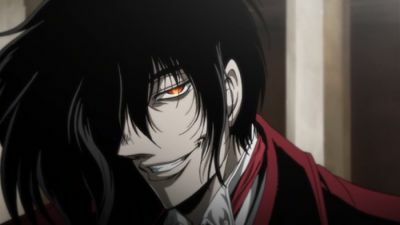 I must agree that this vampire is very much based on Alucard and Hellsing. At least hair vise. There is no other vampire with that hair length who also have it partially covering the face. They are many but none the like, and all we can tell is that it keeps growing. "Not even a million enemies where able to make Rome afraid! But "Alucard" isn't exclusive to Hellsing, the name existed wayyy before Hellsing was even thought of. People always thing of "The son of Dracula" when they hear "Alucard" and that's cause that's where that originates (IIRC). 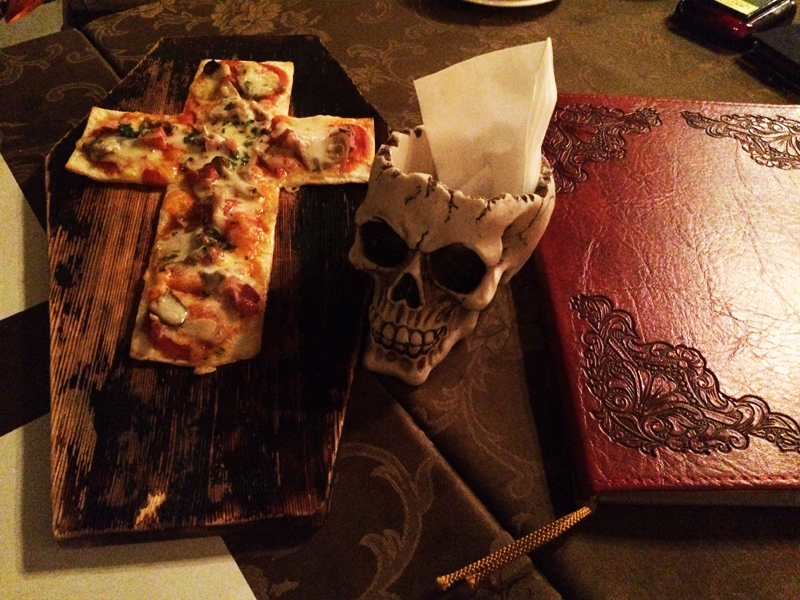 I really don't think it's a Hellsing restaurant at all, just an ode to all things vampires. 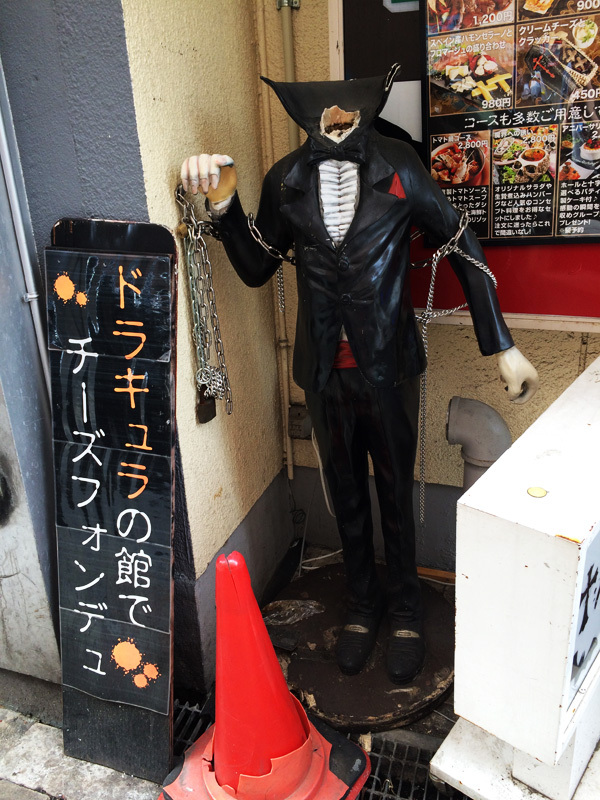 Whether the statue is based of Hellsing' Alucard could be debated, but the theme of the restaurant itself looks pretty plain to me: vampires, Vampires of all kind and genre. Why not go and ask, Saphire?